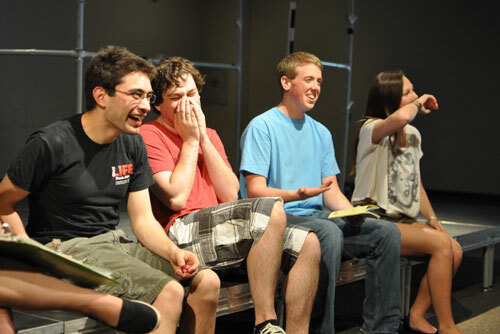 The Algonquin spring play opens on Thursday, and this year’s selection is Neil Simon’s comedy “The Good Doctor.” Directed by Algonquin English teacher Tom Alera, the show features Zach Lusk, Alex Lafreniere, Brittany Price, Max Ludwig, Sarah Gittins, and Andy Hamilton. Performances are Thursday, Friday, and Saturday at 7:00 pm in Algonquin’s Small Performance Theater. Tickets are $7, or $10 for a show ticket plus three raffle tickets. You can reserve your seat by emailing ARHStickets@gmail.com.